With 18 years of experience, Smart Reader® Worldwide is the frontrunner in the early childhood education field in Malaysia. As a result of continuous research and development, as well as great passion and dedication to establish world class programmes and facilities for children, the brand and its franchisees work hand-in-hand to continuously provide the best educational experience. Ms Elisa Tan, franchisee of Smart Reader Kids® Bandar Tasek Mutiara said “I strive my best to create a safe and conducive environment for children in the centre in order to provide an optimum setting for children to develop strong cognitive, social and emotional skills and abilities. 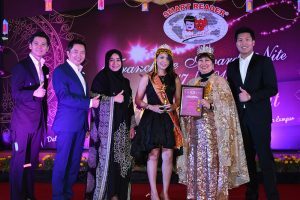 Due to her success and zeal since the establishment of her centre, she was awarded as the “Emerging Franchisee of the Year” during the recent Smart Reader® Worldwide’s Franchisee Award Night 2018 on 8th December 2018 at Royale Chulan. Leading the successful women is the co-founder of Smart Reader® Worldwide and the creator of the Smart Reader Creative Teaching Methodology®, Datin Sri Dato’ Dr. KH Wang. Her extensive contribution in enhancing the landscape of education in Malaysia have been recognised through presentation of multiple prestigious awards. 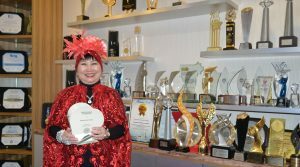 Datin Sri Dato’ Dr KH Wang’s excellent achievements led to her being endorsed by The Malaysia Book of Records as the only Malaysian woman entrepreneur who has garnered the highest number of international and local awards on a personal level. 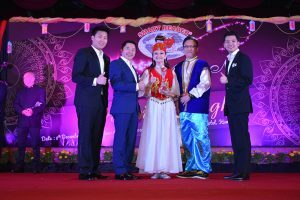 For her, attaining the awards are honourable recognition for years of hard work and she hopes it will inspire more franchisees to thrive in their endeavours. On 14th November 2018, Datin Sri Dato’ Dr KH Wang had received World’s Mother of Education in The Bizz Awards 2018 organised by the World Confederation of Businesses. This prestigious award is for the exemplary contribution of Datin Sri Dato’ Dr KH Wang to the early years industry, be it local and at the international front. She is regarded as a brilliant lady who set career path way to many aspiring lady entrepreneurs. A motivator, a dynamic speaker and a self starter, she leaves no stone unturned. An opportunist by nature, she will strive hard towards excellence which will see Datin Sri Dato’ Dr KH Wang achieving more awards to come. Datin Sri Dato’ Dr KH Wang receiving the World’s Mother’s of Education award from The World Confederation Of Businesses is indeed a great recognition for her years of contribution to Early Years Learning globally, leaving behind a wonderful legacy for the future generations.